Showing results by author "Samantha Chopin Amos"
What does the mind have to do with the body and the spirit? Regardless of what type of health issue you may be dealing with, you are sure to encounter a vast array of information with the advancement of technology. How much of it actually helps? 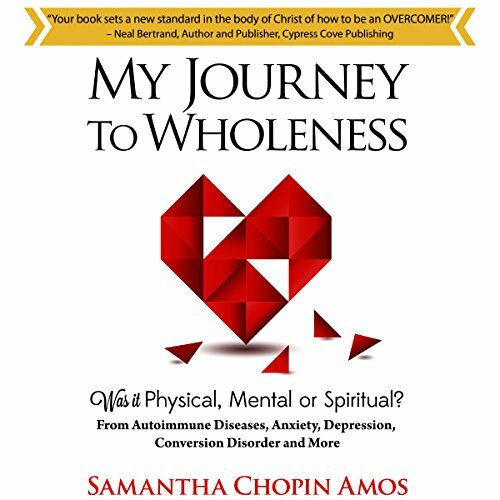 In My Journey to Wholeness, Samantha Chopin Amos pours out her heart in testimony of the winding paths that she has traveled with God upholding her every step of the way - even through the moments when she wanted to die.